Established in 1987, North Bay Trading Co is a family business which delivers high quality food to commercial and retail customers. Food Quality and Food Safety. Ingredients are screened by quality and time elapsed from harvest. For example, our dried ingredients are fresh vibrant pieces, versus small faded bits, and our Canadian wild rice is wild harvested from pristine northern lakes and is 100% certified organic. Of course, food safety is a high priority. In addition to meeting legal standards, we sign up for voluntary third party GFSI (Global Food Safety Initiative) food safety audits, with participation in the SQF Food Safety Program administered by AIB International certification body. Our GFSI Audit Certificate shows we keep current. Specifically we are audited for SQF Food Safety for Manufacturing, Module 2 and 11 plus SQF Food Safety Code for Storage and Distribution, Module 12. Our Food Sector Categories are Food Ingredient Manufacture and Food Storage and Distribution. Also, we keep current with Kosher and Organic certification programs. Check out our food safety page for more details on food safety. Healthy. We use only healthy and natural ingredients. Our products are generally low in sodium and a great source of vitamins and minerals. There are no artificial additives. Flexibility. 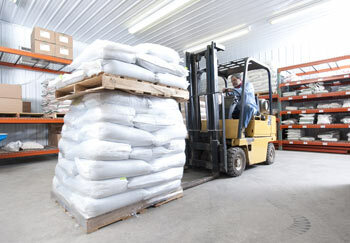 Our products are available in both retail bags and economical bulk sizes. They are ready to be used as ingredients in homemade soups, Italian dishes/pizza, gourmet side dishes, blended drinks, salads, desserts, and more! 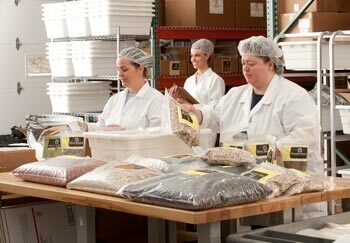 We offer high quality food items to commercial and retail health conscience customers. As a family owned company since 1987, our business activities are sustainable and we strive to build loyalty among customers, suppliers, employees, and business owners. We believe natural food is desirable and healthy. We think efficient business strategies enable fair prices. We operate with integrity and sustainability. Our organizational culture will be responsive, respectful, and pleasant. Our food safety practices will exceed legal requirements. Our products will be of high quality. We will deliver to all regions in the USA. We will meet customer demand and exceed expectations. Apply for access to our online ingredient store for small to medium sized businesses. Shop full cases, partial cases, bulk, and retail. After check out, your order ships quickly. Free shipping $99+ on our wholesale site. Small retail bags and expedited shipping may be purchased on our website for sampling purposes. Although our website is not set up for large commercial orders, we have strategic partners that can help. A brief description of your business with supporting documentation or website link. A list of the product(s) you would like to order. Your first order quantity and timing, and projections for future orders. This identifies our best way to serve you. Available to businesses which source food as a core function of their business. Shipping address must be a commercial address (sorry, no residential delivery to home based business). Minimum average order volume of $500 per quarter. Standard payment method is major credit card or PayPal. Pre-approval required to check out with purchase order and pay on terms. Initial documentation of your business is subject to review and verification. Consent for North Bay Trading Co. to run a credit report on business and/or business owner. We look forward to hearing from you! — the North Bay Trading Co team.